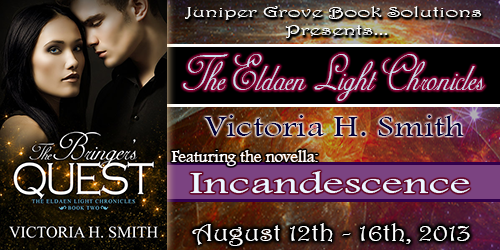 Victoria H. Smith: The Bringer's Quest and Incandescence Release Day + Blog Tour! 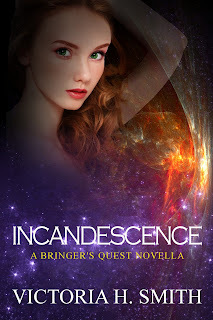 The Bringer's Quest and Incandescence Release Day + Blog Tour! Today's the day! 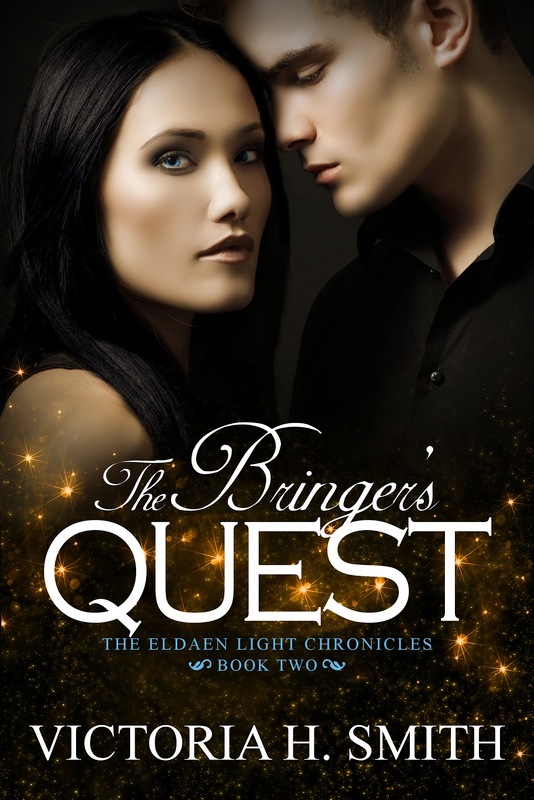 I've released the sequel to The Crimson Hunt entitled The Bringer's Quest, and it's novella Incandescence. 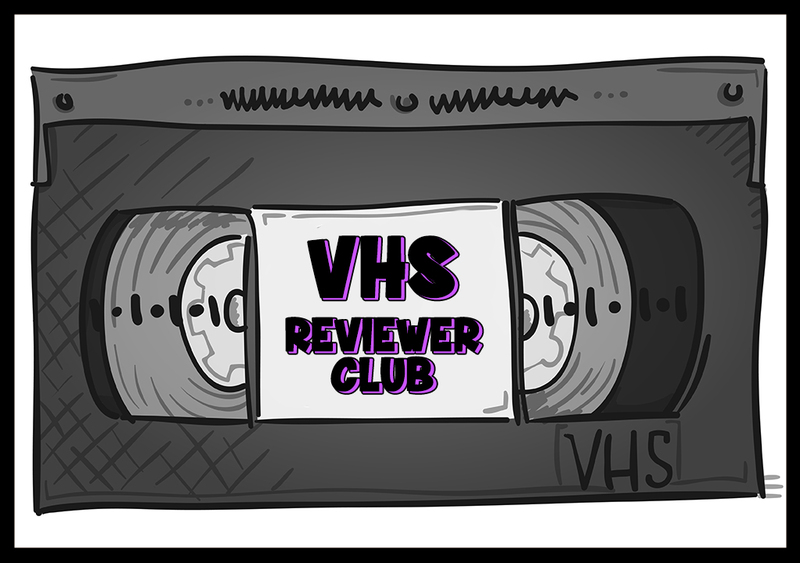 Below, I have buy links and blog tour stops. Enter to win copies of all three books in the Eldaen Light Chronicles. Plus! 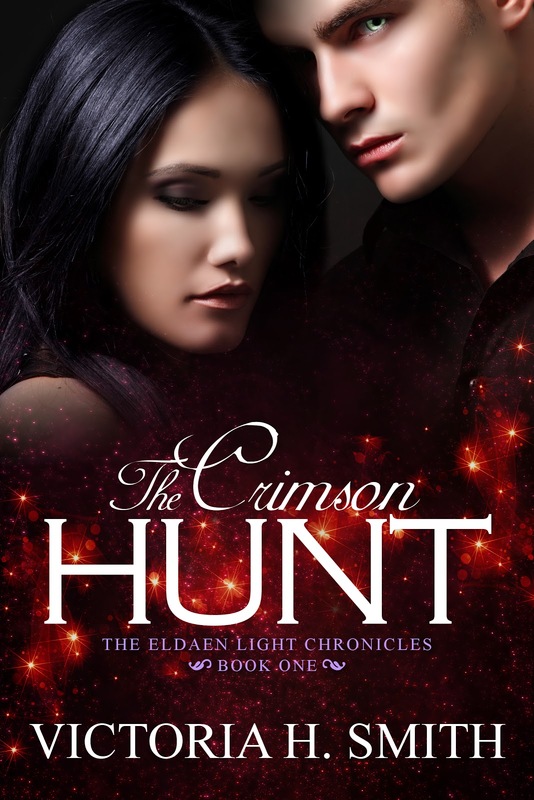 The Crimson Hunt and The Space Between are .99 this week to celebrate the releases, so pick them up today!!! The Bringer's Quest is a new adult science fiction romance. Gemini Maylor is bored as hell. He lost his best friend Luca to a set of long legs and a pair of breasts. Now, he’s not only shy one wingman, but finds himself feeling a way he never has before. Bailey Hughes loves the quiet. But she has to admit she misses her bestie. As draining as it is to be Ariel Richmond’s best friend, Bailey finds the job oddly fulfilling. 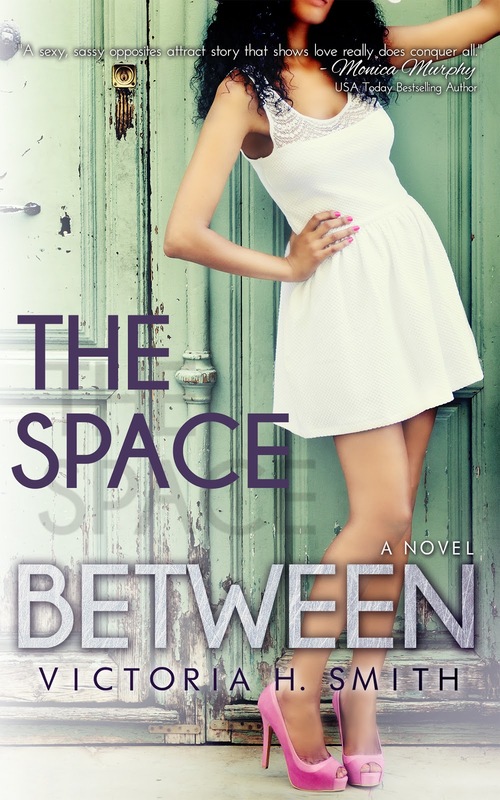 So when Ariel and her boyfriend Luca decide to devote more time to each other, Bailey finds herself left behind. Gemini and Bailey couldn’t be more opposite. Gemini is a fiery Eldaen man with a rock star complex. And Bailey is, well, kinda average. But when the absence of their best friends brings them together, they discover a heat between them that only makes sense. The question is: Is that fire lasting? Incandescence is a new adult romance with science fiction elements. The 50,000-word novella is not a standalone and follows The Bringer’s Quest. 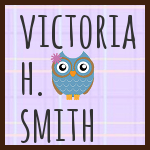 Congrats on your latest book release Victoria! Your covers look amazing!!! I just picked up the first book in the Eldaen Light Chronicles and I'm excited to read it. Happy Book Release Day!! !